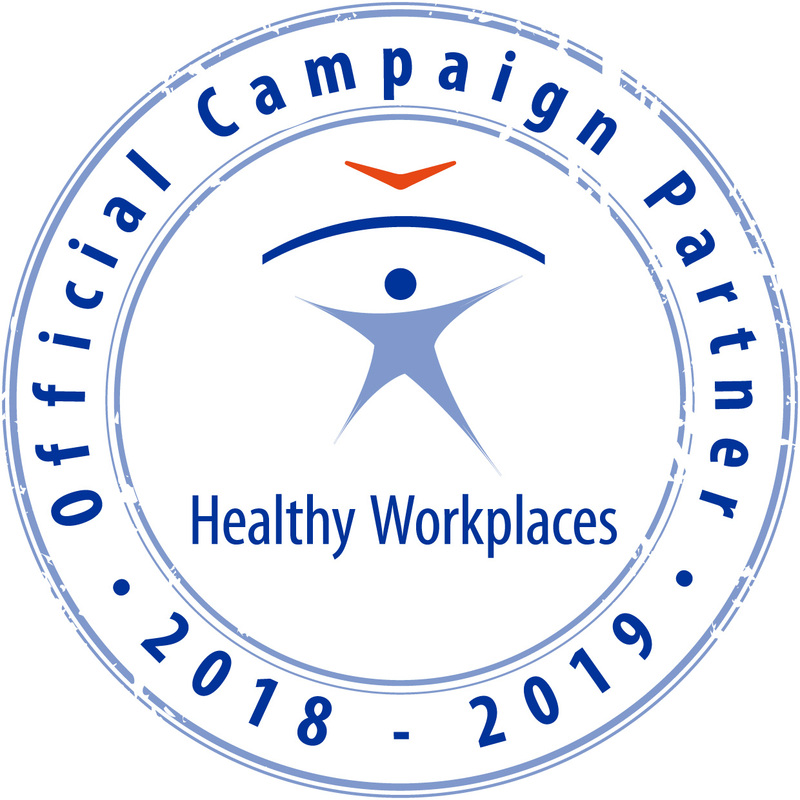 The TRAIN4WORK is a new initiative of the Federation of European Ergonomics Societies under the umbrella of Erasmus+, to create a freely accessible online ergonomics training material. To strengthen the knowledge and skills of targeted professionals in the design of human-centred workplaces. Human resources professionals (recruitment and job assignment of workers). The Instituto de Biomecanica (IBV) is a technological centre that studies the behavior of the human body and its interaction with products, environments and services. Founded in 1976, the Institute is currently coordinated under the agreement of the Valencian Institute of Business Competitiveness (IVACE) and the Universitat Politecnica de Valencia (UPV). The Technische Universitat (TU) Darmstadt is one of Germany’s leading technical universities. Its around 303 professors, 4,250 employees and 25,100 students devote their talents and best efforts to the significant future research fields energy, mobility, communications and information technologies, housing and living conditions. The wide variety of disciplines represented are all focused on technology, as viewed from the vantage point of engineering, the natural sciences, the humanities, and the social sciences, and cover the full range of academic endeavor, from the origination of basic concepts to practical, everyday applications. The Universite Grenoble Alpes (UGA) is a comprehensive university offering high-quality education in all academic disciplines and at all levels (undergraduate, master, doctorate, as well as certificate programs) to 45,000 students in initial and lifelong learning. Its dense territorial grid embraces the towns of Grenoble, Valence, Vienne, as well as several units located over the Isere territory. It belongs to the Communaute Universite Grenoble Alpes (COMUE) and works together with other HEIs on and outside of the campus, mutualizing some of their actions to improve the quality of their services. Structo is a dynamic company with a high adaptation to customer needs, because we have a multidisciplinary team of engineering. We have experience in conducting projects and Facilties. We develop projects in all sectors of industry and institutions. Project Management and Construction of industries of all sectors and facilities. We also carry out projects as industrial machinery, technical projects operating licenses, legalization of all kinds of industries and fire safety projects in industrial establishments. 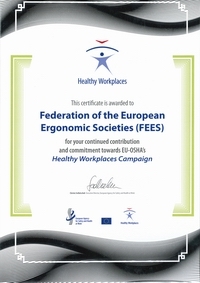 For more information contact Pedro Ferreira, treasurer of FEES: treasurer@ergonomics-fees.eu. IO1. Course curriculum (M1-M6): It will include the learning objectives, the structure of the selected contents, the type of reinforcement activities, the ongoing monitoring schedule, the methodology for a continuous assessment, and potential accreditation procedures. It will be available in two different formats, text file and project website, and will be developed in English. IO2. Online course in English (M7-M21): This output will consist of the first version online of the Train4HCWork course developed according to the curriculum (IO1). This course will include in an open e-learning platform the contents previously developed and reinforcement activities. This first prototype will be developed in English and will be ready to be tested in pilot validations. IO3. Online course in French, German and Spanish (M17-M29): There will be four main actions to deploy the final course: validation of the first version of the e-learning course (IO2) (pilot course), development of the final version of the e-learning course, translation (to Spanish, German and French) and implementation in the platform. AR1. Training requirements: Partners will develop a report summarizing the results of the studies performed to detect the vocational training requirements (knowledge, skills and competences) across Europe. This report will be provided in electronic format and disseminated at the website of the project in the Multiplier Event 1 and at partners’ websites. It will be the basis for the definition of a suitable and precise curriculum of the course (intellectual output IO1). In order to get these training requirements, three focus groups (FG) in three different countries and one on-line survey will be carried out. AR2. Training contents: It will include the final version of the training contents. Training contents will cover the most important issues for a human-centred design, integrating knowledge in ergonomics, health and safety at work, and productivity. AR3. Validation of the e-learning course: There will be a pilot course leaded by FEES (focused on professionals of ergonomics), UGA (focused on engineering students and professionals) and Structo (focused on specific demands of companies). IBV and IAD will monitor progress of participants and analyse the results of this monitoring. Finally, a report with recommendations to improve the training course (contents, reinforcement activities, schedule, platform, evaluation activities, etc.) will be proposed. The consortium should pay attention to the importance of dissemination and exploitation of the results and to the visibility at a transnational level. Publicity obligations: the consortium should follow the instructions and logos available in the internet site indicated by the Agency. In all communications, always indicating “with the support of the of the European Union” and the graphic logos. Communications and publications: shall indicate sole responsibility lies with the author and the Agency and the Commission are not responsible for any use that may be made of the information contained therein. Ownership of the results (including industrial and intellectual property rights): the educational materials within the scope of the project should be provided access to such material downloaded from the Internet, free of charge and in open licensing regime.